This week in Your Parents Basement, we are putting on masks to gain super powers! From 1992, we’re playing Kid Chameleon by Sega for the Genesis. You can manually download this week’s mediocre podcast here or subscribe to the show via the iTunes store. To manually subscribe, use this link in the device / podcast player of choice. You can also follow us on Twitter, or ‘like’ us on Facebook. 0:00 – Intro, which is the opening theme from the game. 33:00 – Emails! An old friend writes in, along with a foul-mouthed one, and one asking Huell something special. 51:00 – It’s everyone’s favorite segment, even more so than the show itself! Ask the Sweet Boys. 56:00 – Snifferoo. It’s a star-studded show about the entertainment industry! – According to Price Charting, Kid Chameleon is reasonably priced at $12.30 for the loose cart, or $20 for the box and cart. It’s also available on a bunch of Sega collections and individually, for $5 to $10. – Mark Cerny worked on Kid Chameleon, Sonic 2 and a bunch other games. – There is a Growing Pains video game, but unfortunately, it’s not based on the 1980s sitcom. The original box art for the Sega CD version of Night Trap. – Dave Voyles is a sturdier man than most, since he’s taken on the technical challenge of turning the infamous Night Trap into a playable online game. For more information, check out his post on Gamasutra. – There is an awesome new documentary project on Kickstarter, called Insert Coin: Inside Midway’s 90s Revolution. If the project hits its goal of $75,000, it plans to cover all the games of the era: Smash TV, NARC, WrestleMania, and of course, NBA Jam and Mortal Kombat. – From Chris Arrant of Newsarama, details on the deal between Atari and Dynamite to publish items on the gaming company’s deep back inventory of items. – The latest effort from Honest Trailers? The Super Mario Bros. movie! – A United Kingdom company is now offering retro game mural wallpaper. – Via Riley Little of Game Rant, a dad has turned his child’s nursery into one with a Mario Kart 8 theme. – David Nield of Motoring Research has a list of the best retro tech of the 1990s, which includes the Super Nintendo and the Game Boy Color, amongst other devices like beepers, point and shoot cameras, and Nokia phones. 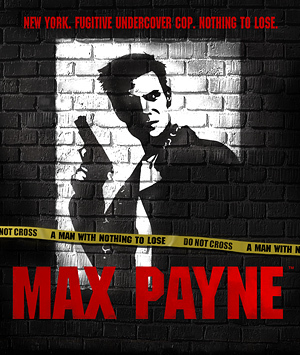 Box art for Max Payne. – In 2001, Max Payne came out for the PC. According to Wikipedia, the three games in the series have now sold more than 7.5 million copies. It was known for introducing Matrix-style “bullet time” to games. – And since it’s July, almost nothing else came out. Womp womp womp.